Ghent is the capital and largest city of the East Flanders province with its rich history and is the second largest municipality in Belgium. It is one of the most charming towns we have ever seen. The city located around 60 km from Brussels, and it will take approximately 50 min to go by car or about 40 minutes by train. Although Ghent is a large city, it is possible to explore its center walking within one day along cobblestone streets. WHAT TO DO IN GHENT? 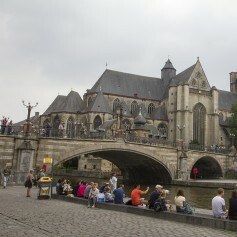 The Saint Bavo Cathedral is the oldest parish church located in in the heart of the city. The cathedral is built on the site of the former Chapel of Saint John the Baptist. More than a thousand of years this has been a place of prayer and Christian worship. 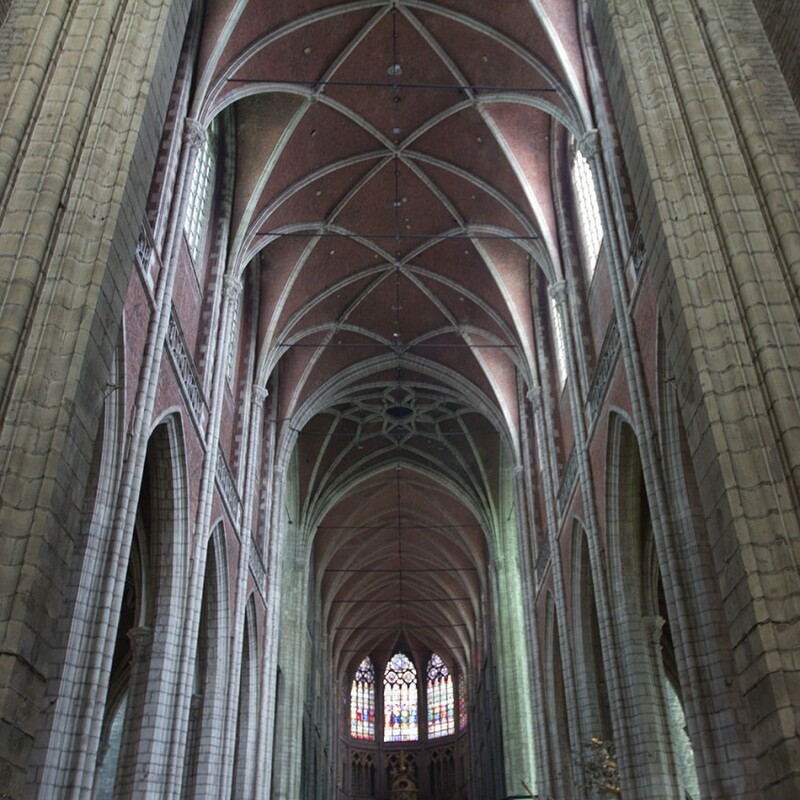 Thousands of people every year visit Saint Bavo’s Cathedral. Many tourists come to see this beautiful building; others come to participate in Holy Mass. Also, it is possible to visit this place during other events like exhibitions or concerts. 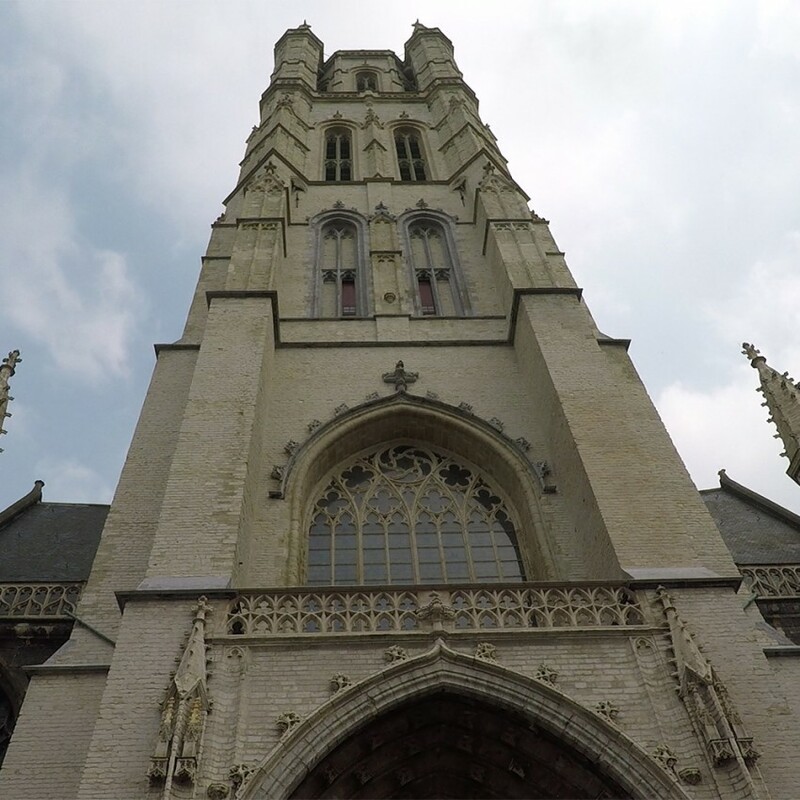 Just in the opposite side of the square from the Cathedral is located 14th-century Belfry and watchtower which is more than 90 meters tall and is one of three medieval towers in Ghent. 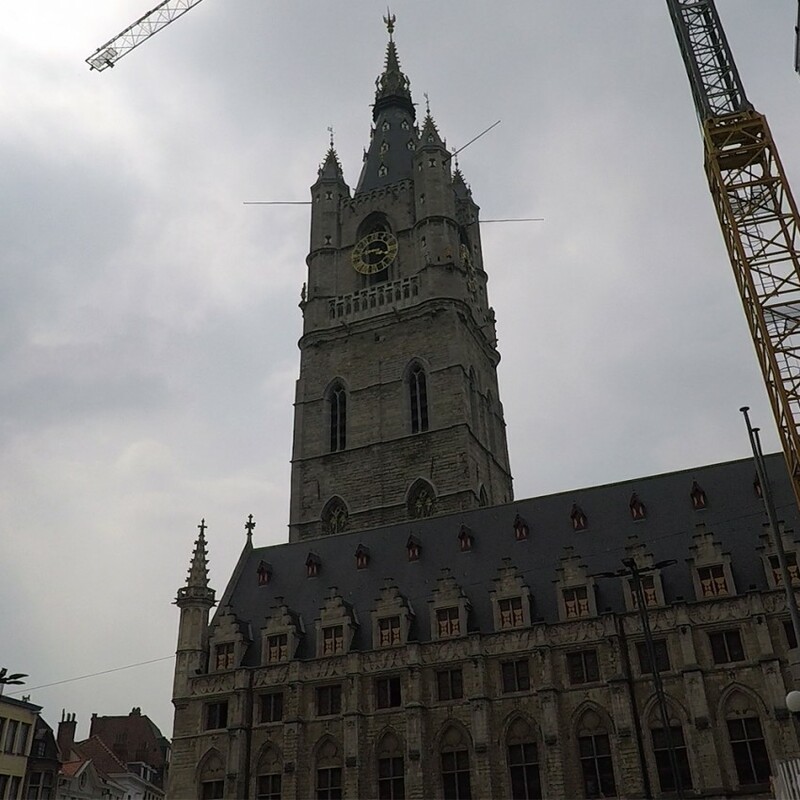 We found that this is the tallest belfry in all Belgium and it is the symbol of the autonomy and independence of the city of Ghent. Just after this trip, we found out that we could observe Ghent from Belfry and I am sure that views from the top of the Belfry should be worth to visit. Do not miss it as we did. 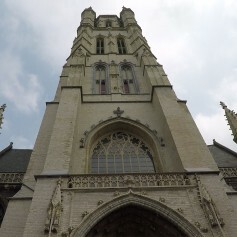 The other is Saint Bavo Cathedral and the third we will visit later. Just behind Belfry, we found City Pavillion, which is the Modern building in the city center and is an architectural masterpiece. 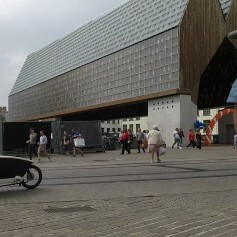 Unusual roof, impressive glasses makes this building unique between Ghent's medieval architecture. Gothic style Saint Nicholas Church was built in the 13th century and is one of the most prominent objects in Ghent. To create the church was used bluestones from the Tourney area. 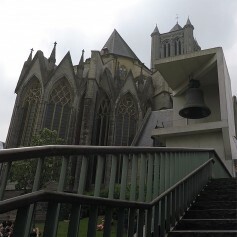 This Church is the third medieval tower in Ghent. 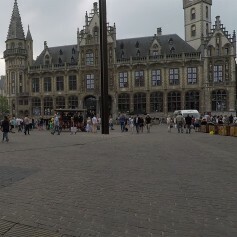 Korenmarkt is a city square in the center of Ghent. It is located between the river and Saint Nicholas Church and is one of the most attractive locations for the tourist and cultural events. The atmosphere was relaxed, and here you can find and buy gifts, have lunch, or listen to street musicians. 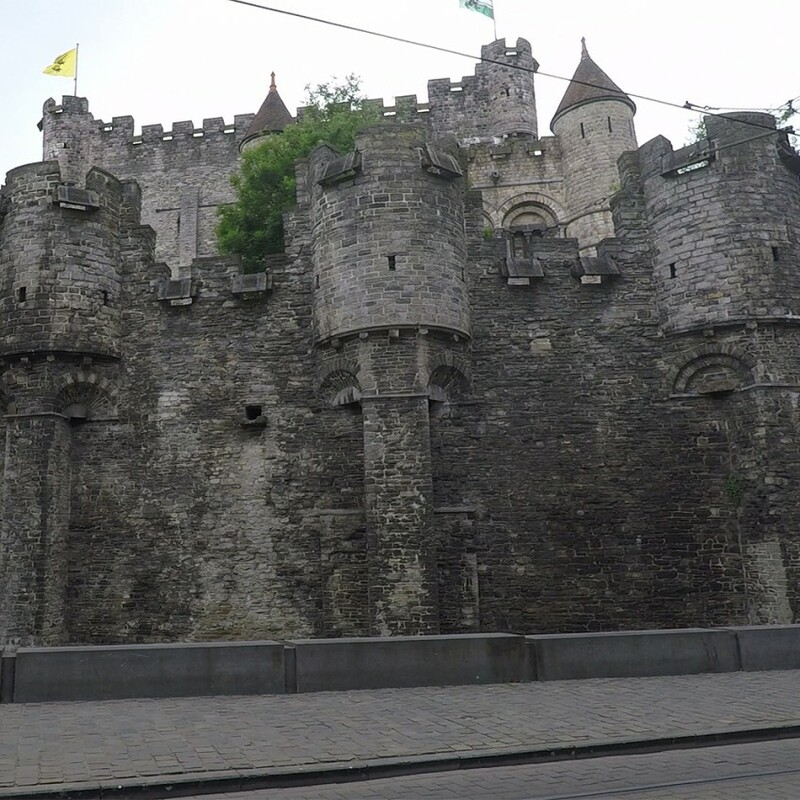 The point where you can see Ghent’s elegant beauty from all sides. Just go up on the bridge. Around you will be visible the most prominent places: Graslei and Korenlei, Saint Michaels church, Saint Nicholas Church, Belfry Tower, and Saint Bavo’s Cathedral. 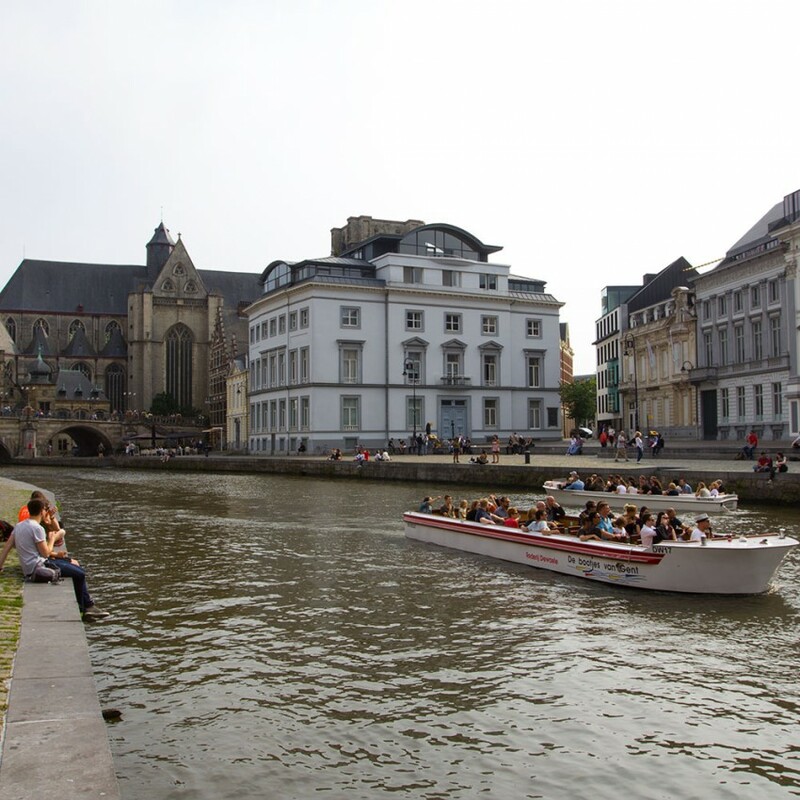 We found information that both quays were part of the old ports since 11 century and now it is a touristic hotspot of the city center of Ghent. It is a lot of cafes around this place. 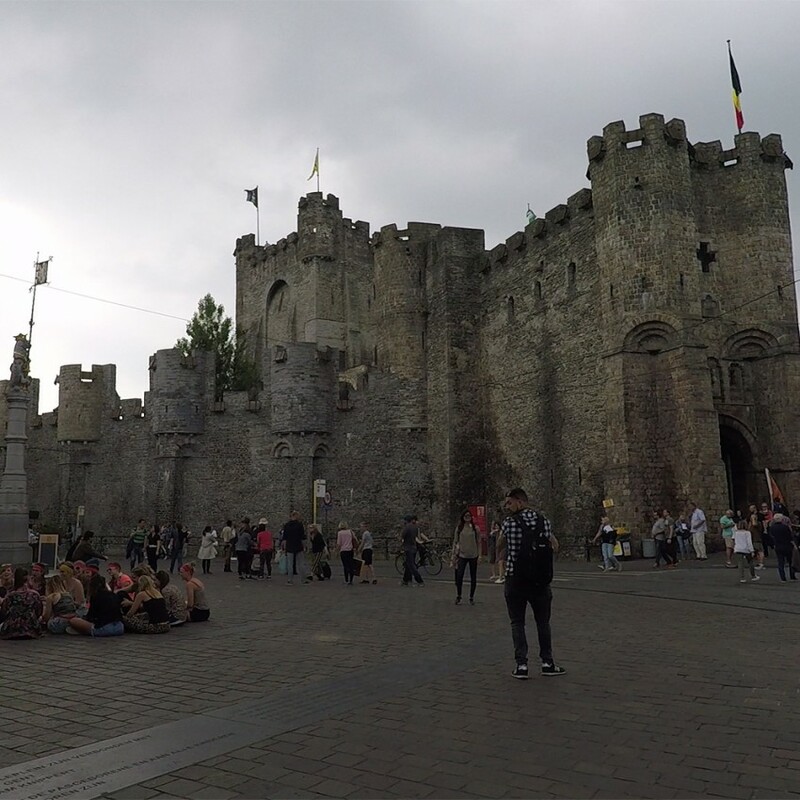 The houses and architecture from the middle ages are just amazing like in all Ghent.Graslei and Korenlei is the place where all the visitors are coming to relax near the water, and this place is probably the most attractive place in the city. 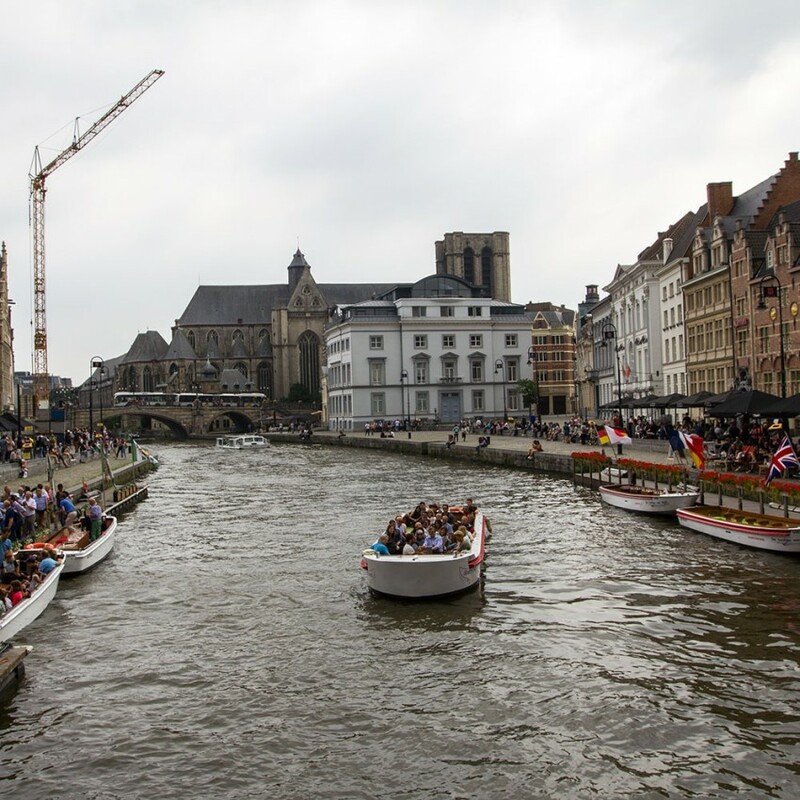 Take a boat ride during your stay in Ghent because it is a unique way to explore the city and listen to the history of Ghent. You can find boat trips from Graslei and Korenlei. 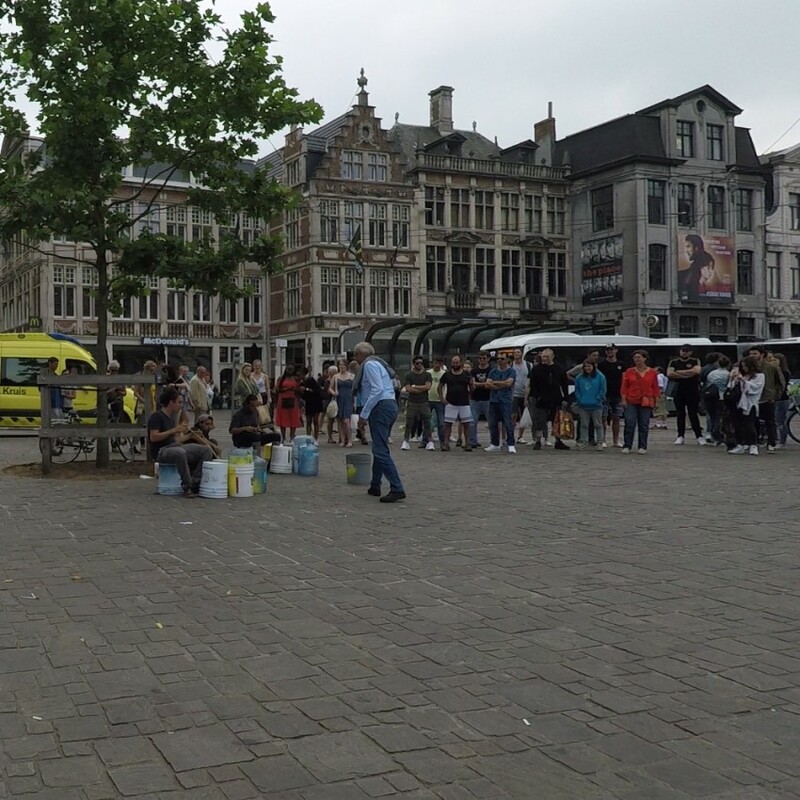 You are in Ghent or another city in Belgium; you should try French fries or Belgian "Frites." You can always find them at a chips stand in the streets of market squares. The most popular is with beef stew sauce and mayonnaise. This castle was built in the 10th century. It used to be one of the strongest moated fortresses in Europe, later it became courthouse and prison, and today it is a museum. Find some time to go inside to see the torture cells with all devices, and from the top, you can observe the city. Graffiti street is a little hidden, and it took a few minutes to find it. 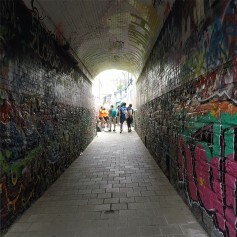 Every single place covered with graffiti. What is unique about this street is that it is never the same. If you go to Ghent tomorrow, it is likely that you will see different view that in this video. If you love graffiti, there are more places in Ghent where you can see works by famous artists, and it is possible to take a tour by bike or on foot. Some events and sights are unrepeatable, and you can’t plan this. Visiting the same place different time you can see different things, like this female, which used the zip line from the window, the street dancer or the guy, who was likely celebrating his bachelor party. Visited Ghent, Belgium and were surprised with its beauty.